Shower area configuration using 2 side outlets of FirUnico® built-in system for a total of 2 functions. 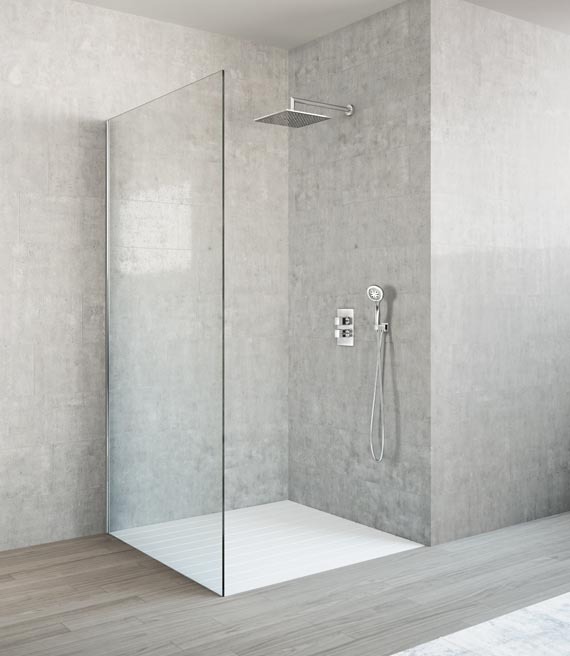 A. FirUnico® for wall-mounted built-in shower mixer, with 2-way diverter. 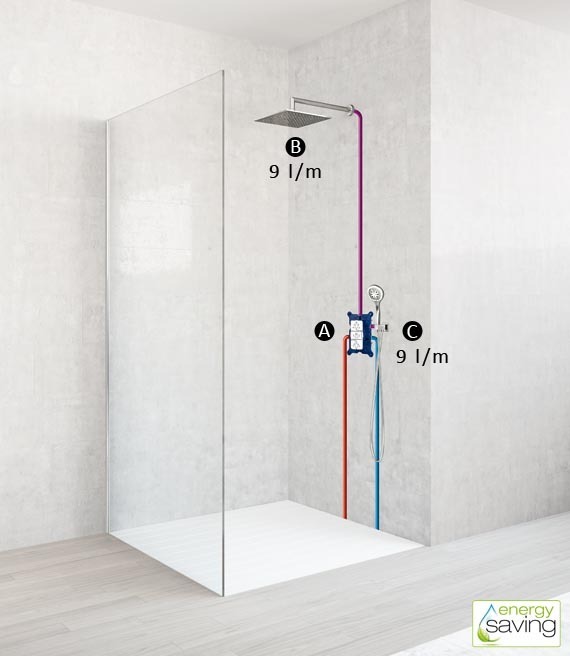 C. Wall-mounted multifunctional hand shower.